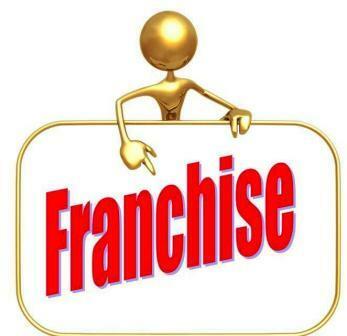 We’ve been talking about franchises recently, because we’re looking for entrepreneurs to join us and start their own franchise. In keeping with this, let’s explain what makes a franchise such an appealing business opportunity. One of the main reasons we know that someone would buy a franchise is because it’s a turnkey business — in other words, a franchise is a business that’s established and ready for immediate use and will include all the equipment necessary to run it. At Workface, we offer a number of training courses to help would-be business owners get a small business off the ground, one of which is our Small Business Management course, which covers everything aspect of starting and operating a small business. Perhaps one of the biggest hurdles a would-be business own has to overcome, though, is the start-up part. This is where you take your business idea and research and test and modify (and research and test and modify, again) that business idea to see if it’s viable. That’s before you even open your doors for business (or your website goes live), where statistically one in four businesses fail within their first year; and a further two fail within the next five years. On the surface, that’s a huge risk, especially if you’re not exactly reinventing the wheel with your business idea – maybe you’re a plumber, a gardener, or a bookkeeper looking to become your own boss. With a franchise, however, much of that risk has already been eliminated. Better still, as said, a franchise is a turnkey business and therefore virtually operational from the moment you sign on the dotted line. This is perhaps one of the main reasons people buy into a franchise, because everything — from shop outfitting, business systems, inventory, and the equipment to the pricing structure, branding and logos are included in the start up price. In some cases, even uniforms for the staff are included. As a franchise, you also get to leverage your new business off an established business name, which means you almost have built-in customers. When it does come to marketing, you can participate in the group’s marketing activities or marketing your franchise independently, which we’ll look at in more detail soon. By investing in a genuine turnkey operation, entrepreneurs will find that they can go into business with the confidence of knowing that they have everything in place to be successful in their new endeavour. Up next: proven systems. We are offering a range of great home-based contracting and business opportunities in the areas of safety and compliance; education and training; bookkeeping and MYOB; web design and internet marketing; and IT support and VoIP consulting. If you believe you might be suited to working in one of these industries, working your own hours and supporting proven systems, then don’t hesitate to register your interest or contact us.